Do you hear that? Is that... is that the wind? Germany's most famous heavy metal band is coming to Shanghai. Born in the mid '60s in Hanover as the brain-child of guitarist Rudolf Schenker, and with Klaus Meine lending his powerful vocal chords, they're most famous for 1990's "Wind of Change," which caught the zeitgeist of the political movements in Eastern Europe and the fall of the Berlin Wall. It's one of the best-selling singles of all time. Although they hit a quiet period after that, they've never stopped releasing music and touring, putting out 18 studio albums, 27 compilation albums and 74 singles over the course of more than 50 years. These guys just don't quit. 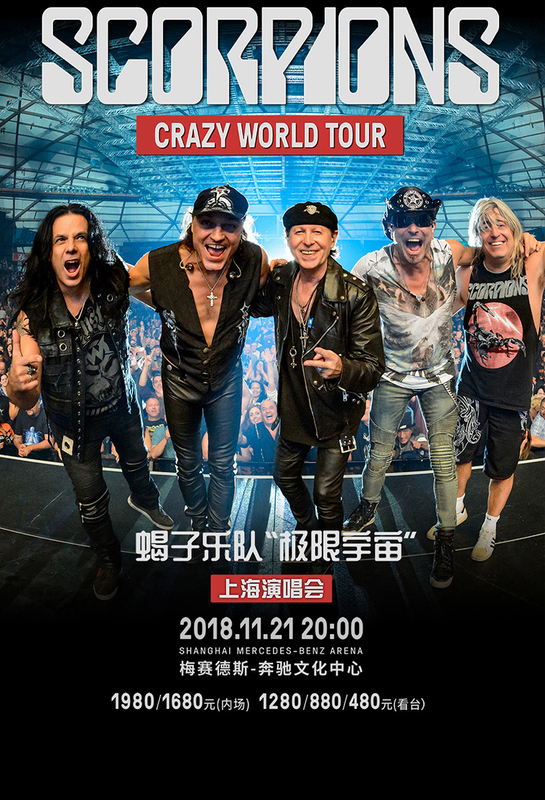 Now, Rudolf Schenker (rhythm guitar, backing vocals), Klaus Meine (vocals), Matthias Jabs (lead guitar), Paweł Mąciwoda (bass) and newcomer Mikkey Dee on drums (joined in 2016) are coming to China for a third time, and still guaranteed to pack out Mercedes-Benz Arena.